During a month of hiking, running, walking and sailing through Baltic ports, amber was a constant. These beautiful remnants of fossilized tree sap come in shades of yellow, brown, red and black and regardless of size have a depth of beauty. Though most of amber is now mined commercially there are many amber collectors, people who live or work near the sea, who use a process that dates at least to the 1600’s, still collecting amber by wading into the water to visually locate and capture amber by net. 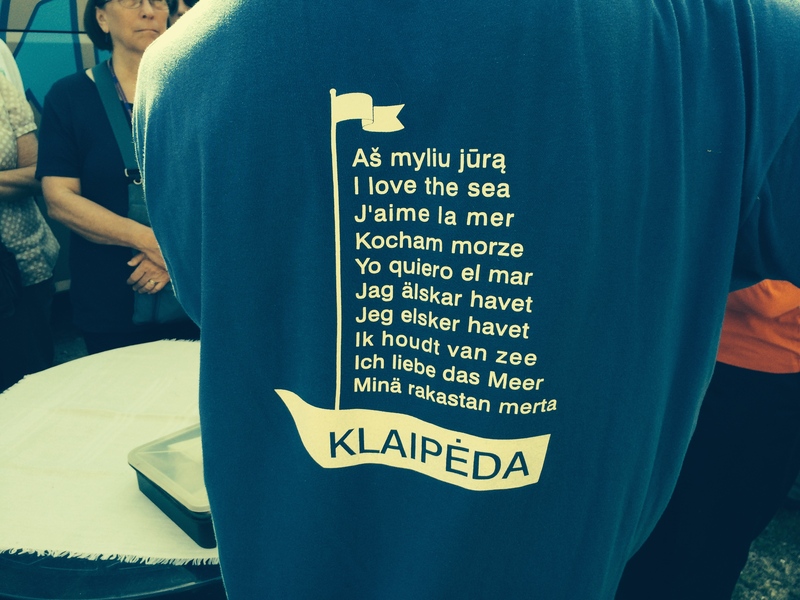 We left Klaipėda, Lithuania to ferry across the lagoon to the Curonian Spit, a 98-kilometer sand dune with territory belonging to both Lithuania and Russia. It is also a UNESCO World Heritage site. 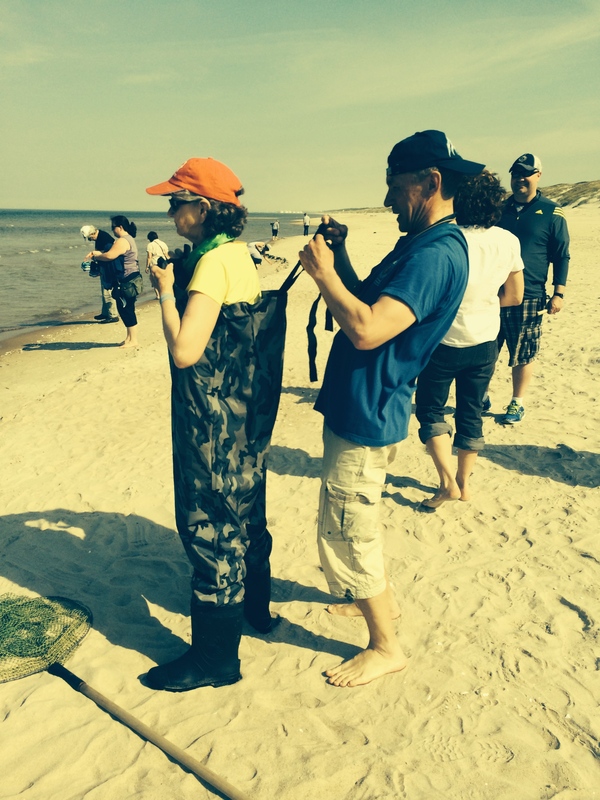 There, we had an opportunity to hike across the dunes and learn the Baltic netting method. Amber floats in salt water and frequently can be found imbedded in seaweed. There are some days in the Baltic Sea that are prime for harvesting amber. Alas, it was not my day and the net captured little. I did come away with my own unpolished chunk, gifted by Igor. 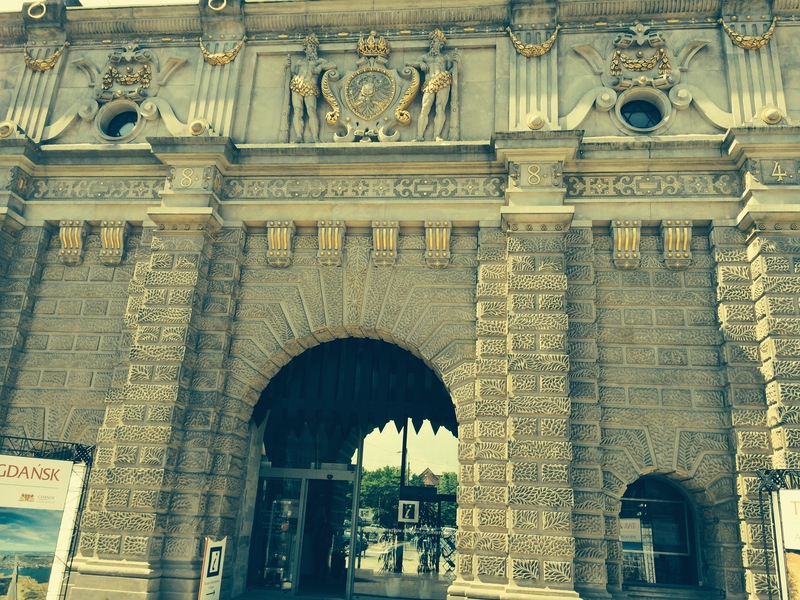 We visited amber museums in Poland, Lithuania, and Denmark and museums exist in virtually every port on the Baltic. There is even an amber room in Catherine’s Palace near Saint Petersburg. The Nazis were impressed enough that they left town with the amber panels from the room, never to return. In the last few decades, Russian artists recreated the panels and restored the room to its former glory. Of the many amber museums throughout the Baltic, my favorite is the Gdansk Museum in Poland. It is housed next door to the Torture Museum in a section of what was the walled area of the city and the former prison dating back to the 1400’s. My shipboard friend Autumn and I were held hostage ourselves as a group of school children ushered in front of us, pinning us in a small alcove. A note of warning: For this visit, it helps to have some mountain goat in your soul. Access to the museum will require negotiation of tight dark stairs, but all is worth it to see the beautiful amber creations. In addition to detailed information on the development of amber over millions of years, its reputation for healing powers and information about the amber trade over the last couple hundred years, add the works of local contemporary artisans and amber craftsmen on display. 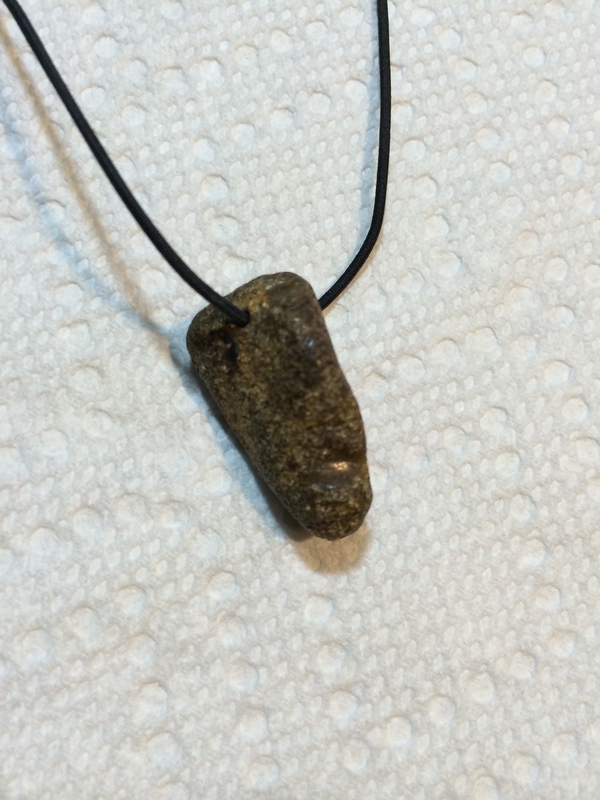 I’m not convinced of its healing or health powers, but I do find myself wearing my unpolished amber nugget when I run. I’d love to here about your experience with amber. And, does anyone run with a stone or charm for luck, for its healing power, or as a talisman when you run, hike, bike? what a great adventure…..love following your unique and challenging travels. Keep it going. When will Ray go with you on one of these trips? Thanks. Look for more travel/running stories to follow. The travel bug has thus far overlooked Ray. silver pendants that Marge gave out a couple years ago at her 5K. My running girls bring me good luck. If I remember to put them on. I like to wear the running charm set as well. I’ve misplaced it somewhere in my travels and hope it will show up. See you at the start line.